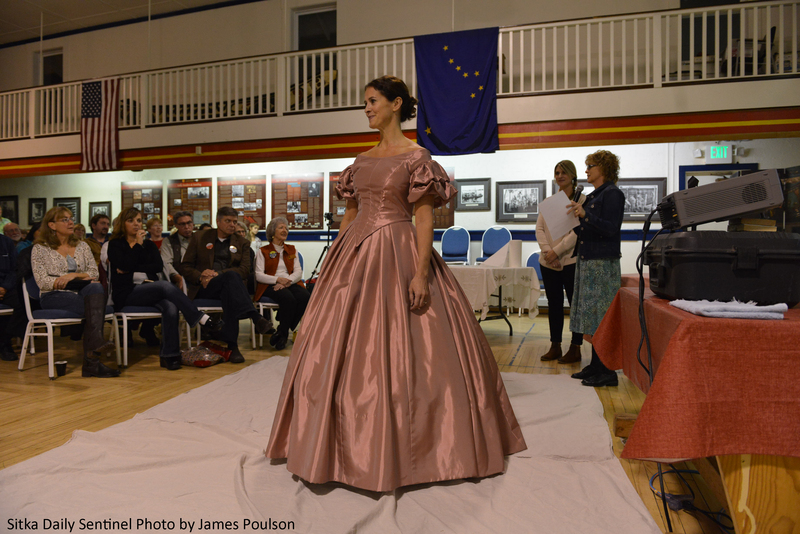 The Sitka Historical Society held its annual meeting at the ANB Founders Hall. The evening’s program included recent research and archaeological findings of the 1813 wreck of the Russian frigate Neva, plans for the new Sitka History Museum due to be finished in 2017, and the awarding of the Isabel Miller service award to Pat Alexander. Historical costuming expert, Carol Hughey, also presented on the Society’s project to re-create Princess Maksoutoff’s iconic 1860s gown. Click to read the full Daily Sitka Sentinel article.